Candidates can check their marks by calling to the toll free number 1800-425-1110 from any phone. Results are available on the wesbite http://examresults.ap.nic.in now. AP Intermediate Ist year results for the General courses and Vocational Courses are now available. Candidates can check their results by entering their roll numbers in the official website of BIEP. The Board of Intermediate Education Andhra Pradesh (BIEAP) has already released the Intermediate Public Advanced Supplementary Examination (IPASE) 2014 schedule for candidates who need to retake their final exams for first year or second year. The retake exams begin from May 25, 2014. The AP Intermediate Board Examinations 2014 for Junior College students stated from March 12 with eight exam dates each. The exams started with their Second Language paper and ended on March 29, 2014 with Geography/Modern Language paper. The Second year Intermediate Board Examinations 2014 stated on March 13, 2014 with Second Language-II exam and ends with Geography-II or Modern Language-II exam on April 1, 2014. The practical examinations started from February 2 and ended on March 4. 19.78 Lakh students appeared for AP Intermediate First Year Examinations and AP Intermediate Second Year Examiantions. There was 2,661 examination centres spread across Andhra Pradesh, out of which 975 were government, 187 government-aided and 1,499 unaided. Approximately 133 flying squads and 135 sitting squads were constituted to oversee the examinations. 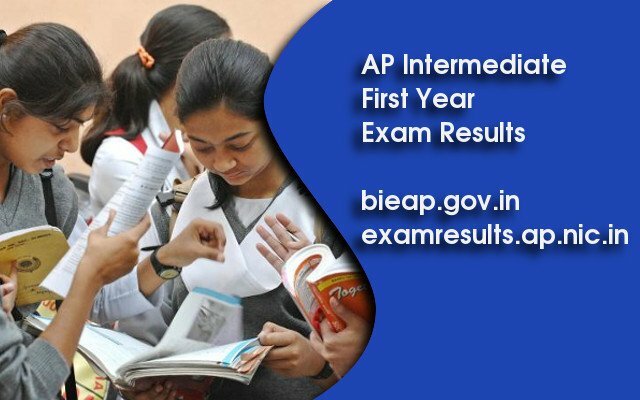 The AP Intermediate first year results 2013 were declared on April 28, 2013, and the AP Intermediate second year results 2013 were declared on April 29, 2013. Around 8,91,337 candidates appeared for the March 2013 first year exam out of which 4,86,658 candidates passed giving a pass per cent of 55.60. From the 7,71,587 candidates who appeared for the second year exam 5,04,300 candidates passed giving a pass percentage of 65.36.